NEW ROAD & it's ABOUT time! 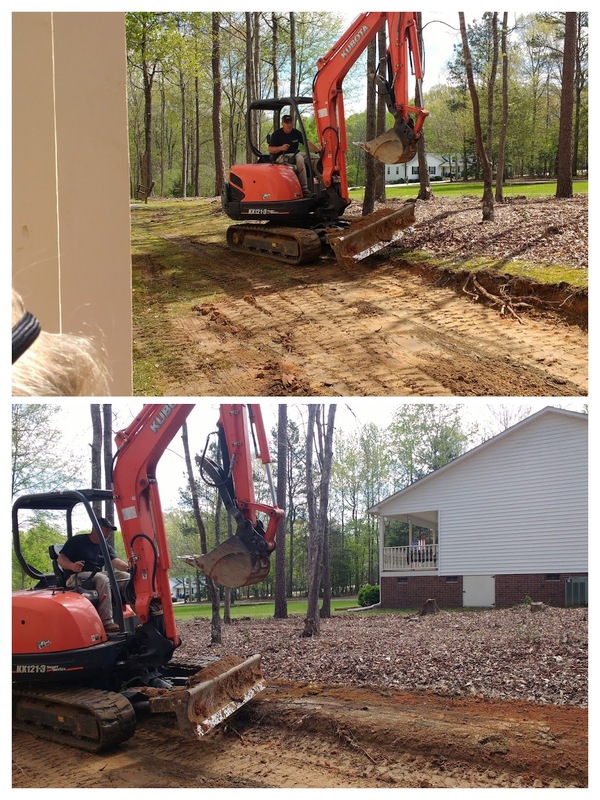 Yep you heard me right, after having a 'sub' level road to and from casa de McBride, they are redoing it! HELLO appraisal value! Actually, my house has NEVER fallen past what I paid for it over 10 years ago... HA! Too much info I am sharing you say, WELL it's ALL public record so ANYONE can see it. Don't believe me? Just put in your address and see YOUR info. 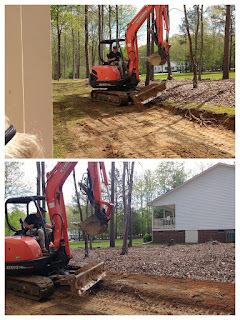 ANYWAYS, they are first replacing the drainage pipes at the end of each driveway, they are replacing the old metal ones that tend to rust over time to new plastic ones, and because of that, they have piles of concrete and asphalt. 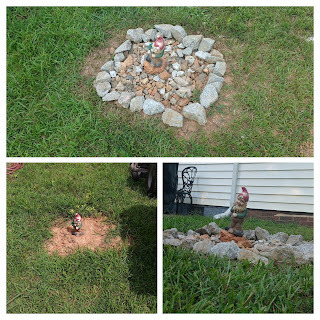 On my daily walk, I was talking to the foreman of the road crew and after chatting for an hour about how they redo a road, where he lives, high school football, his crew, what I planned to do with all the old concrete/asphalt and just life in general, he told me to take as much of it as I needed. He even had one of the guys on his crew DELIVER a few loads for me. So I did just that! HA!!! And made a retaining wall so the driveway my neighbor Jimmy just made to go to his SWEET @$$ shop doesn't have run off from my yard. Picasso, I mean Jimmy, showing his new driveway who is boss, HIM DANG NABBIT!! PLUS it looks nice if I say so myself. 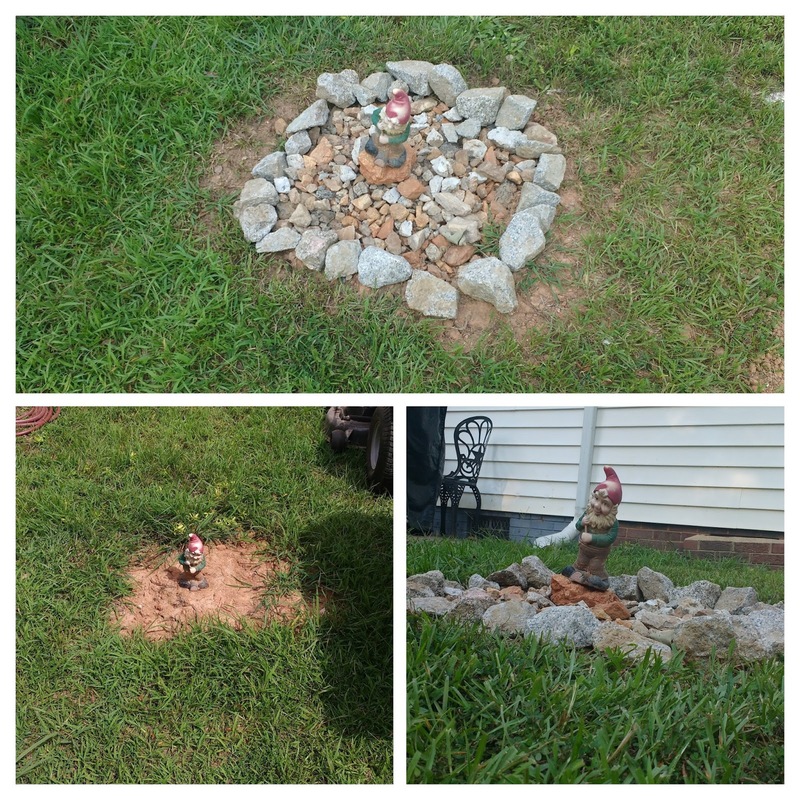 ALSO, I used some quartz and other rock they had so I could make the access to my septic tank easier to find for when the guy comes to pump it out every other year. HA! Don't think for a SECOND that when I talk about ANYTHING to do with 'sewage', I won't include this dandy scene that we ALL love! 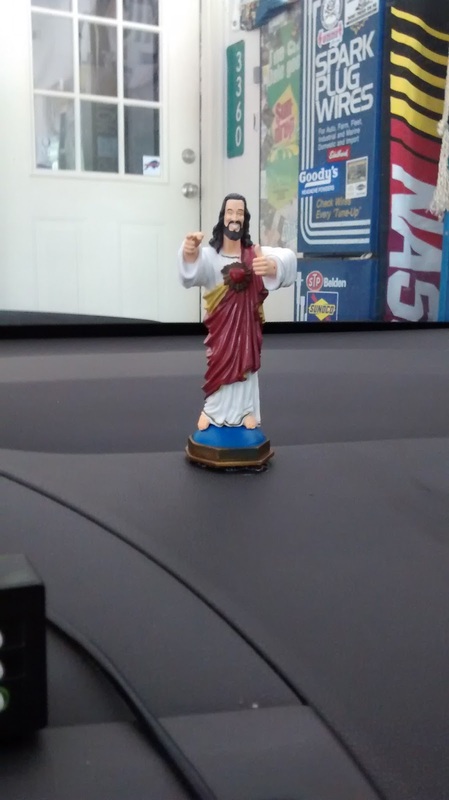 Oh and, this is where the 'Buddy Christ' I have in my car is from. One more item I would like to address. R.I.P Gene aka Willy Wonka. The majority of people on Twitter quoted "But Charlie, don't forget what happened to the man who suddenly got everything he always wanted.... He lived happily ever after." Every time I hear that, I think back to 2002 and my brother's wedding. The bride's maid made her speech and said this almost exactly. I was a little tipsy and said real loud, "HEY, that's from Willy Wonka!, You plagiarizer!" Have a great month you wild and wacky kids.